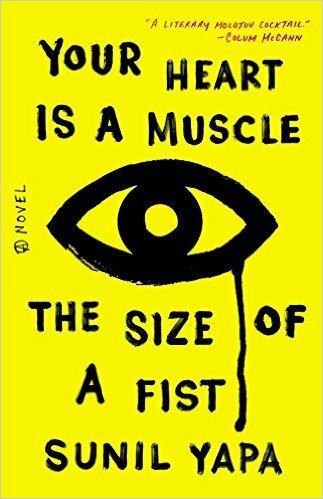 Rave The New York Times Book Review With intricacy and humor, Van der Vliet Oloomi relays Zebra’s brainy, benighted struggles as a tragicomic picaresque whose fervid logic and cerebral whimsy recall the work of Bolaño and Borges. 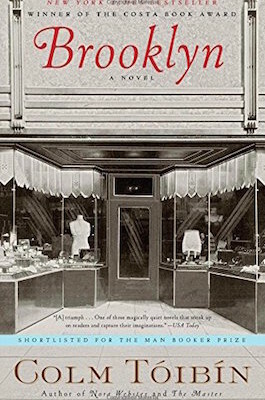 In her first novel, Fra Keeler, a psychological thriller about a man who buys a house and is obsessed with the circumstances of the previous owner’s death, she showed similar acuity and dark wit; here, however, she immeasurably expands her terrain. 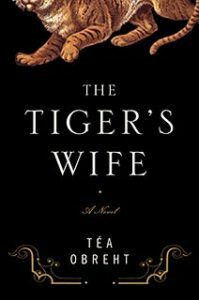 Literature, as Zebra’s father has observed, is 'a nation without boundaries' and for this high-minded heroine, 'landscape and literature are entwined like the helix of DNA.' 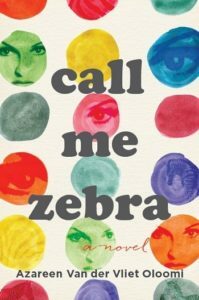 But the pilgrimage she undertakes in Call Me Zebra teaches her to raise her eyes and register the reality of the people who exist in her present, not just those who survive in the pages of her past. 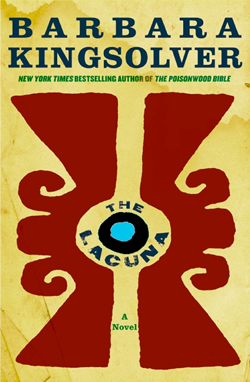 Rave The New York Times Sunday Book Review McCarthy’s superb stylistic control and uncanny imagination transport this novel beyond the borders of science fiction. His bleak humor, hauntingly affectless narrator and methodical expansion on his theme make Remainder more than an entertaining brain-teaser: it’s a work of novelistic philosophy, as disturbing as it is funny. 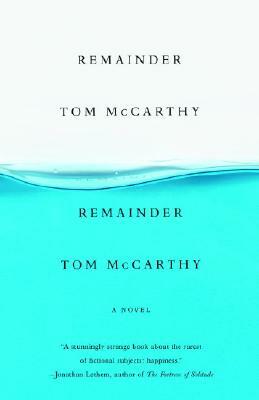 McCarthy shows that philosophy, like history, can repeat itself as farce. And in this farce, the slamming doors swing shut in slo-mo, reopening only to slowly close yet again. Rave The New York Times Sunday Book Review In The Cat’s Table, Ondaatje seems to lead the reader on a journey through three deeply submerged weeks in his own memory … So convincing is Ondaatje’s evocation of his narrator’s experience that the reader could easily mistake it for the author’s own. 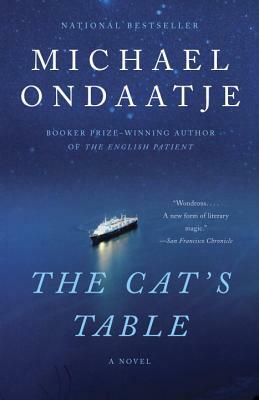 But in a note at the end of the book Ondaatje takes pains to establish that The Cat’s Table is ‘fictional,’ though it ‘sometimes uses the coloring and locations of memoir and autobiography.’ This disclaimer will not keep the reader from reflecting that any life so richly recounted belongs more to fiction than fact … Not all the mysteries Ondaatje explores in his account of Mynah’s sea passage — revisited in adulthood from the remove of decades and from another continent — have clear resolutions, nor do they need them. Uncertainty, Ondaatje shows, is the unavoidable human condition, the gel that changes the light on the lens, altering but not spoiling the image. Rave The Barnes & Noble Review ...a magisterial, panoramic overview of Russia under Putin ... 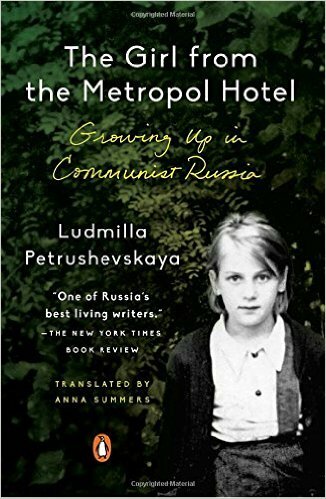 While the people she singles out are often vociferous opponents of the rearward direction of the New Russia, she gives at least equal time to the group the perestroika historian Yuri Afanasyev dubbed 'the aggressively obedient majority' and to the tens of millions of ordinary Russians who would be happy to go back to the USSR, more or less ... The characters’ personal histories add life and nuance to Gessen’s narrative. But it takes a while to get a handle on all of the players, who are as numerous as the cast of a Tolstoy novel, if less romantically clad. But portraying the politics of totalitarianism does not call for a romantic filter. 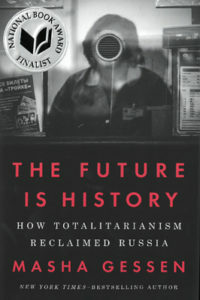 Gessen’s reconstruction of the ongoing saga of Russia’s reversion to vozhdizm makes for thrilling and necessary reading for those who seek to understand the path to suppression of individual freedoms, and who recognize that this path can be imposed on any nation that lacks the vigilance to avert it. Rave The Barnes & Noble Review In his futuristic (recent) present, at a time when New Yorkers are still recovering from the bursting of the dot-com bubble, anyone who has access to a computer screen and knows where to look can find refuge from the post-tech-boom doldrums in a parallel digital universe called ‘DeepArcher’ (get it? ), and secede from ‘meatspace’ reality…with or without doing what we once thought of as dying … The future that he so precociously, disturbingly foresaw long ago now surges around us. 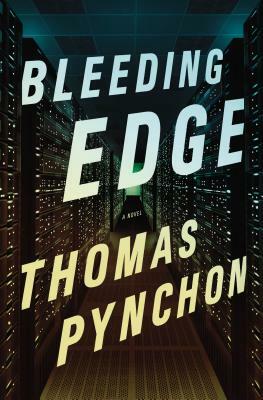 With Bleeding Edge, he shows that he has mastered the move from the shock of the new to the shock of the now, while cushioning the blow. If Maxi, in the post-9/11 world, keeps finding it ‘harder to tell ‘real’ NYC from translations’ and ‘keeps getting caught in a vortex taking her farther each time into the virtual world,’ she is not alone. Pynchon throws her, and us, a rope. Rave The New York Times Book Review Her new novel’s inclusive, impartial vision awakens a contemporary reader’s conscience by highlighting the individual’s role in collective error: 'How we respond when a principle is at stake' ... Seiffert favors a spare, unexaggerated style. You sense in her a firm resistance to overplaying pathos, even when tragedy is her underlying subject. The power of her writing comes not from emotional manipulation or verbal fireworks but from her marshaling of the sort of visual detail that makes her settings feel almost tangible, and from the bonds she builds between her wary characters, who, like it or not, must accept their need for one another ... While retaining the muscularity that has always distinguished her prose, she has allowed these disparate portraits to migrate and meld, producing one interactive, consolidating vision ... Seiffert has unleashed literature’s unique power to analyze history’s scroll, to let fiction judge. Rave The New York Times Sunday Book Review In a word: heavy. Or so you might think. But in this mystery of past causes, the transformative power of Enright’s language keeps the story’s freight from burdening the reader. Veronica’s reminiscences have an incantatory power that makes them not depressing but enthralling … Enright hides her painterly brushstrokes. 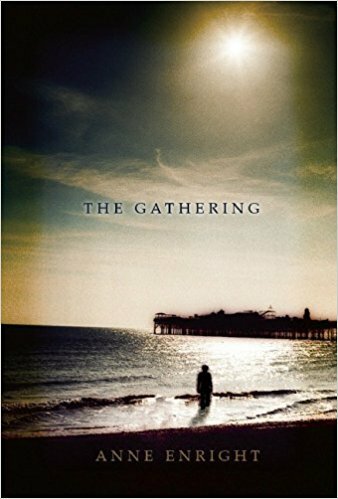 The Gathering still casts fiction’s spell, but its detours from reality are surreal, not unreal: nothing happens that could not happen, that has not happened, to somebody. Bringing together the skills she has honed along the way, Enright carries off her illusions without props or dei ex machina, bravely engaging with the carnival horrors of everyday life. As Veronica struggles to understand her brother’s suicide, she tells herself that she owes it to Liam to acknowledge his past, their past, without flinching. Rave The New York Times Sunday Book Review How can the experiences of a fictional loner merge with those of larger-than-life figures who played a pivotal role in world politics? And what can readers learn from their intersection? Those are the questions answered by this dazzling novel, which plunges into Shepherd’s notebooks to dredge up not only the perceptions they conceal but also a history larger than his own, touching on everything from Trotskyism, Stalinism and the Red scare to racism, mass hysteria and the media’s intrusion into personal and national affair … The Lacuna can be enjoyed sheerly for the music of its passages on nature, archaeology, food and friendship; or for its portraits of real and invented people; or for its harmonious choir of voices. But the fuller value of Kingsolver’s novel lies in its call to conscience and connection. She has mined Shepherd’s richly imagined history to create a tableau vivant of epochs and people that time has transformed almost past recognition. Mixed The New York Times Book Review ...Pascal Mercier’s Night Train to Lisbon delves into the question of national and personal identity, contains a text within a novel and explicitly invokes the tale of Odysseus and his 20-year journey through pain toward self-knowledge ... Mercier has built his plot on escapist fantasy, and put the Portuguese dictator Antonio Salazar’s authoritarian regime at the core of his inquiry ... Mercier’s hero is a dried-up Swiss classics teacher, Raimund (Mundus) Gregorius, whose late-life crisis begins when he encounters a distraught Portuguese woman on a bridge in Bern. 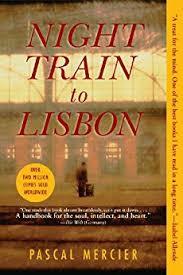 Ditching his classroom, Gregorius takes off for Lisbon...wording is so dense and overwrought, and Barbara Harshav’s translation so ham-handed, that unpacking each sentence is like decoding a cryptic crossword in hieroglyphs ...struggles with the philosophical task of creating an authentic self in the absence of available role models. Rave The New York Times Sunday Book Review ...a mystery of memory and missed opportunity … Tony’s tragedy, ‘if this isn’t too grand a word,’ is that he avoids deep connection rather than embracing it, for fear of risking its loss … Barnes’s unreliable narrator is a mystery to himself, which makes the novel one unbroken, sizzling, satisfying fuse. Its puzzle of past causes is decoded by a man who is himself a puzzle. Tony resembles the people he fears, ‘whose main concern is to avoid further damage to themselves, at whatever cost,’ and who wound others with a hypersensitivity that is insensitive to anything but their own needs. Rave The New York Times Sunday Book Review It’s exhilarating to encounter such unrestrained vehemence in a work by this controlled, intellectual author. Messud’s previous novels, albeit extraordinarily intelligent and well-crafted, are characterized by rationed or distant emotion. 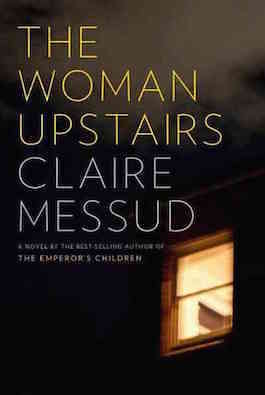 The Woman Upstairs is utterly different — its language urgent, its conflicts outsize and unmooring, its mood incendiary. This psychologically charged story feels like a liberation … In this ingenious, disquieting novel, she has assembled an intricate puzzle of self-belief and self-doubt, showing the peril of seeking your own image in someone else’s distorted mirror — or even, sometimes, in your own. Positive The New York Times Book Review ...unlike other novels that have achieved their mood-melting powers through calculated infusions of treacle — Erich Segal’s Love Story comes immediately to mind — Moyes’s story provokes tears that are redemptive, the opposite of gratuitous ... Me Before You is a love story and a family story, but above all it’s a story of the bravery and sustained effort needed to redirect the path of a life once it’s been pushed off course ... At the novel’s outset, the prospects for this appear bleak. 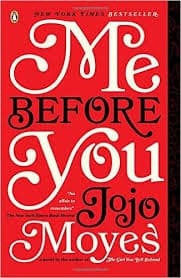 With his rudeness and his fits of temper, Will resembles Charlotte Brontë’s Mr. Rochester, albeit in a wheelchair...Louisa Clark is no Jane Eyre, even if, like Brontë’s heroine, she is small, dark-haired and unprepossessing ... 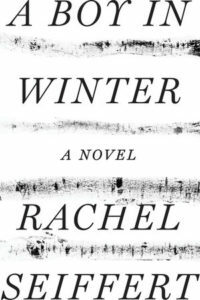 Her language is never lofty; she exposes her characters’ flaws with the literary equivalent of a fluorescent bulb’s naked light. The matter-of-fact language of Lou and Will’s conversations and thoughts, and the starkness of their surroundings ... This is a love story that’s eloquent not so much in its delivery as in its humanity ... Lou and Will she has created an affair to remember. Rave The New York Times Sunday Book Review With fables and allegories, as well as events borrowed from the headlines, [Obreht] illustrates the complexities of Balkan history, unearthing patterns of suspicion, superstition and everyday violence that pervade the region even in times of peace. Reaching back to World War II, and then to wars that came before, she reveals the continuity beneath the clangor … Ingeniously, Obreht juxtaposes Natalia’s matter-of-fact narration with contemporary folk tales that are as simple, enthralling and sometimes brutal as fables by Kipling or Dinesen … Filled with astonishing immediacy and presence, fleshed out with detail that seems firsthand, The Tiger’s Wife is all the more remarkable for being the product not of observation but of imagination. Rave The New York Times Sunday Book Review America is peopled, for the most part, by the descendants of immigrants who had the resolve, the daring and the detachment to leave behind the places and people they had formerly known. But Eilis isn’t such a person; detachment isn’t part of her makeup. 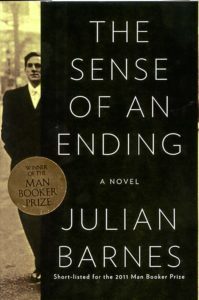 It has been thrust on her by women who are as attached to home and family as she is … In tracking the experience, at the remove of half a century, of a girl as unsophisticated and simple as Eilis — a girl who permits herself no extremes of temperament, who accords herself no right to self-assertion — Tóibín exercises sustained subtlety and touching respect. He shows no condescension for Eilis’s passivity but records her cautious adventures matter-of-factly, as if she were writing them herself in her journal. Rave The Barnes & Noble Review Devastating, unjudgmental, and curiously uplifting, the memoir is a profound testament to the power of the creative, loving human spirit to vanquish brutal circumstance ... the stories she tells of her motherless days in Kuibyshev are not cast down; they show a girl of unerodable pride and defiant character, intent on finding joy ... A Moscow court 'rehabilitated' Petrushevskaya’s family long ago; but her memoir moots the original charges, indicting nothing but history. The bard has filled in the glowing page. 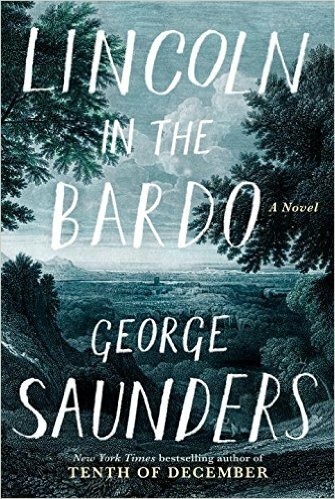 Rave The Barnes & Noble Review Rarely has a novel about the dead felt so thrillingly, achingly, alive ... he has devised a richly hybrid work that defies easy categorization. Chapters of whirligigging dialogue between the cemetery denizens are interleaved with chapters holding excerpts from news accounts, biographies, memoirs, and diaries of the era (many actual, many invented), which ballast the fantasy with the gravitas of real occurrence ... A philosophical principle runs throughout Saunders’ novel that keeps the engine of his story spinning. That principle is that even the most private tragedy plays an integral part in the natural order. Rave The Barnes & Noble Review ...the DNA of his storytelling is not only literary, it is literal. 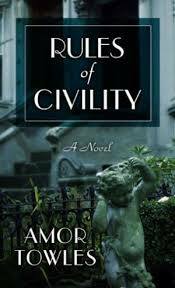 Moonglow relays the rich, complicated history of the author’s own family, reshaped through fiction ... This superb novel shows Chabon at his best; his documentary impulse here reins in the ornate language that can sometimes make his other work gaudy. 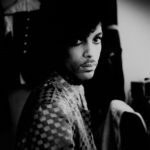 He loses none of his audacious agency by harnessing his art to biography. 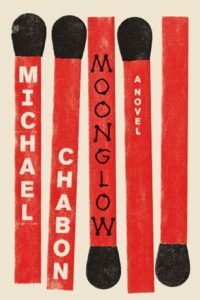 But is Moonglow fundamentally a novel, or a memoir? Why quibble? As every novelist knows, it’s in fiction that the important truths get told. Rave The Barnes & Noble Review Not since the 1996 and 1997 double-header of John Updike’s In the Beauty of the Lilies and Philip Roth’s American Pastoral has a novel emerged that presents a more comprehensive and perceptive portrait of the personal and political American psyche than Nathan Hill’s wise, rueful, and scathingly funny début. 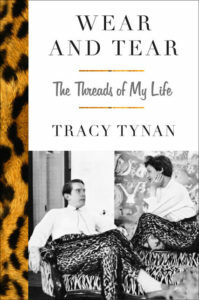 Positive The New York Times ...she does not end her memoir with the neat seam of her own fulfillment. Instead, she shows how time and chance stitched together and remade the family her parents left in tatters ... As you read, you marvel at the author’s resilience; the girl with the apple-green shoes acceded to a bigger role than she had ever expected, and found that she knew how to dress the part. 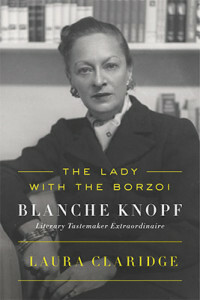 Positive The New York Times Book Review If you’ve ever struggled with the task of composing a guest list for the ultimate fantasy dinner party, Laura Claridge’s biography of Blanche Knopf (née Wolf) will show you whom to put at the head of your table. That dream guest is, of course, Claridge’s subject: the petite, intense and, as Robert Gottlieb once put it, 'fierce and exigent' co-founder of the great literary publishing house Alfred A. Knopf. 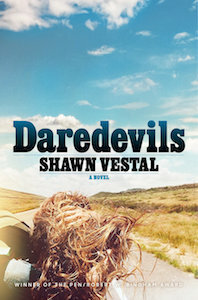 Rave The Barnes & Noble Review [Vestal's] evocation of Loretta’s mind-set shows astonishing perception. Other writers, even female writers, often exaggerate the sensuality of young girls, overplaying their naiveté and sentimentality and diminishing their agency. Vestal understands that a girl like Loretta can be innocent and shrewd at the same time; that her desire and self-control are mutable and can be directed by her, depending on circumstance. He captures Loretta’s protean quality so well that it may disconcert some readers who are not used to seeing the young female psyche so unhypocritically laid bare...In Daredevils, Vestal sends his characters soaring across the gulf that separates the identity that confines them and the identity they would choose, letting them land roughly but firmly on the other side, broken but free. 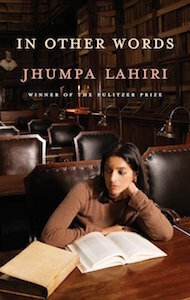 Rave The Barnes & Noble Review The thrill of tracking Lahiri’s stubborn, headlong adventure gains additional intensity when you read her in Italian, absorbing her mind’s embrace of the language. Her potent, mellifluous use of the language, sparing but evocative, shows that she no longer has the slightest cause for embarrassment ... The style of In Other Words is more direct, more personal, and less pruned than in Lahiri’s guarded, stately fiction. And yet, her individual stamp remains. 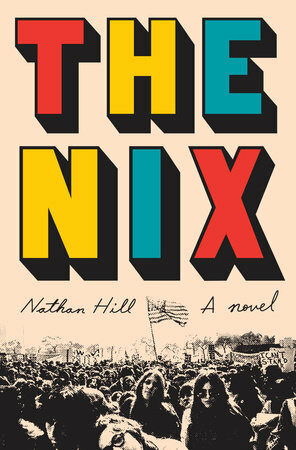 Rave The Christian Science Monitor ...demonstrates the great advantage that fiction has over journalism: the freedom to establish the facts, after the fact, and to set them in a context deepened by hindsight.... [a] remarkable, engrossing novel.